Give a big Jaguar hello to communications senior, Jorlanditha "Tiffany" Austin! 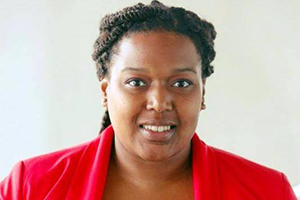 As a full-time student, a military spouse, the president of the Black Student Union and a volunteer for Icing Smiles, Inc., it seemed her plate was full. 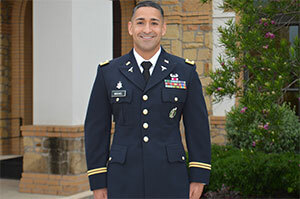 After exhibiting unyielding leadership and determination, 34-year-old Jose Michel became the first Texas A&M University-San Antonio (A&M-SA) cadet to hold the leadership position of Cadet Battalion Commander for the ROTC program. 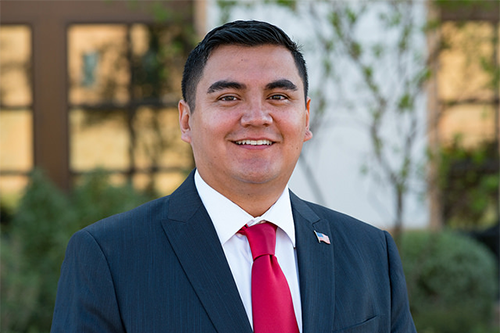 Whether in combat or cowboy boots, Director of Military Affairs and 2010 alumnus, Richard Delgado Jr., is the epitome of a patriotic servant. From sunup to sunset, he spends his days serving military members, veterans and their families— helping them achieve personal, academic and career success. 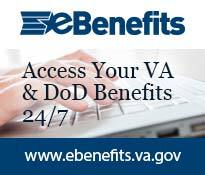 San Antonio is home to one of the nation’s largest active and retired military populations in the country. At a time when the gap between academic and military culture can sometimes seem quite wide, a Texas university has made an unusual move to close the gap and build understanding. Richard Delgado Jr., director of Military Affairs, was interviewed this week by PEOPLE Magazine for their web video series, "Heroes Among Us," which features real life heroes who serve others in a selfless, not for profit way. Delgado is a 10-year veteran of the U.S. Marine Corps who helped establish Patriots' Casa, the only center of its kind created to honor, support and serve veterans and their families. On September 9, Texas A&M University-San Antonio will unveil an on-campus Ground Zero 360, 9/11 Retrospective - 15 Years Later exhibit in recognition of the 15th anniversary of the September 11, 2001 terrorist attacks. The exhibit will include numerous artifacts such as heartbreaking “missing poster” ads, fragmented twisted steel and broken granite from the World Trade Center, the flag that flew over Ground Zero and other harrowing visuals. With the American flag draped across his shoulder and an Iraqi Freedom cap placed over his heart, veteran Jesus Archuleta stood tall and proud.